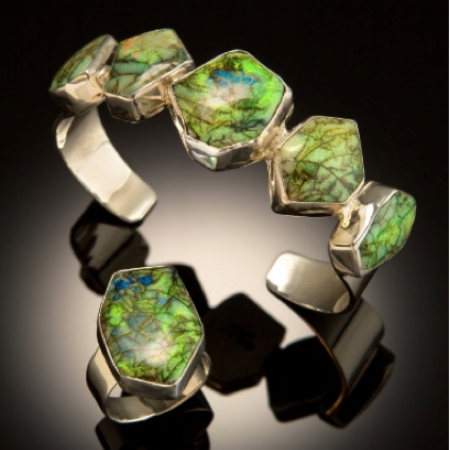 Being a hydrated form of amorphous silica, with the chemical formula [SiO2.nH2O], opal is ‘made’ in nature when silica essentially mixes with water and forms a solution under the layers of the earth. Over time, the silica particles settle and the water evaporates leading to a continuous pattern of highly ordered silica particles that range from 150 to 350nm, yielding brilliant colors of the spectrum. 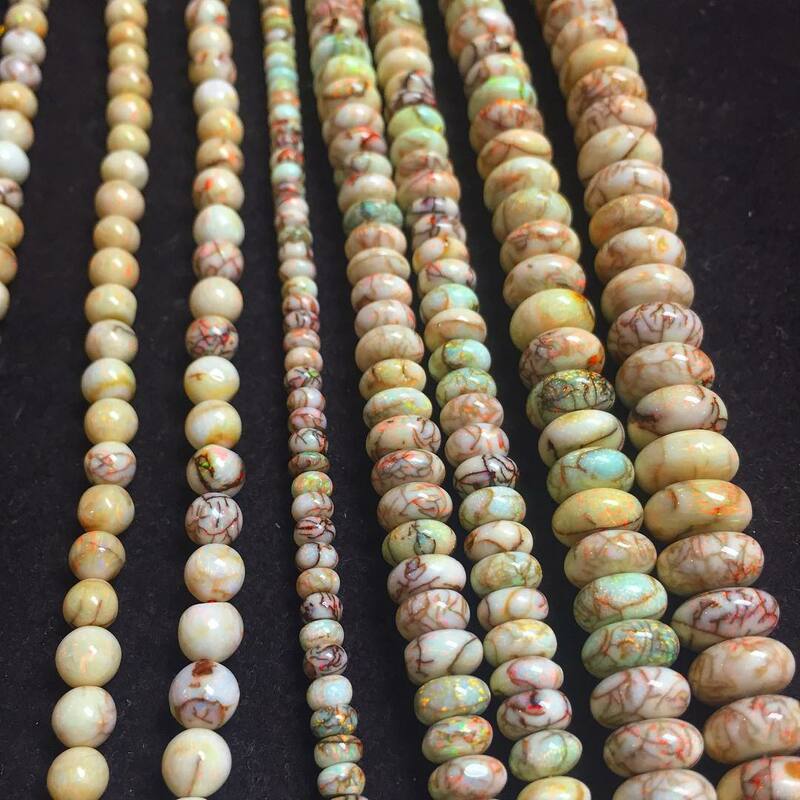 Our silica has been settled to form different types of 'synthetic' opal that are used in as beads, rings, bracelets, and other jewelry as can be seen below. In addition to being highly monodisperse, microscopic images reveal packing of these silica nanoparticles in a very dense array. The voids between spheres enable rays of light to diffract, creating an almost prismatic effect. 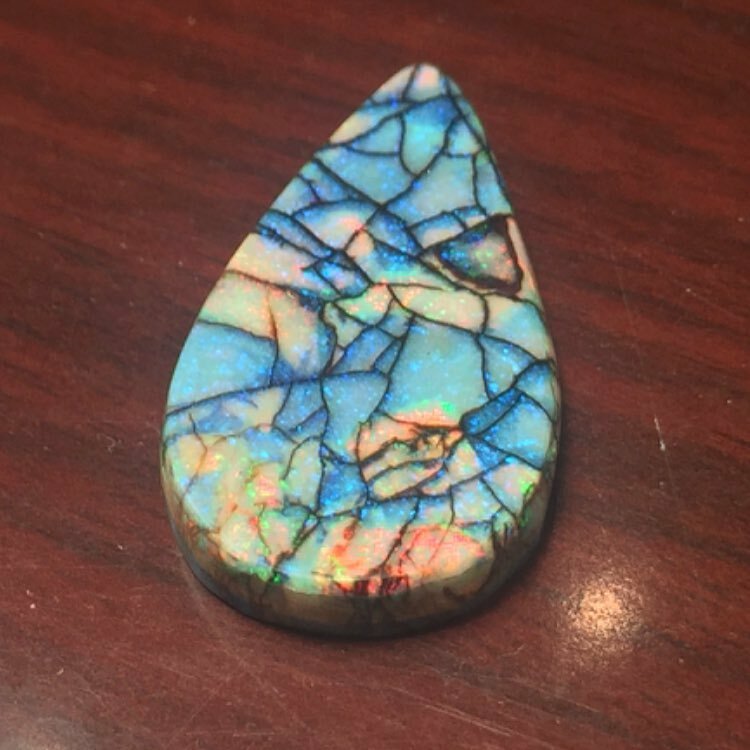 As a result, the natural opal gets its intense colors. 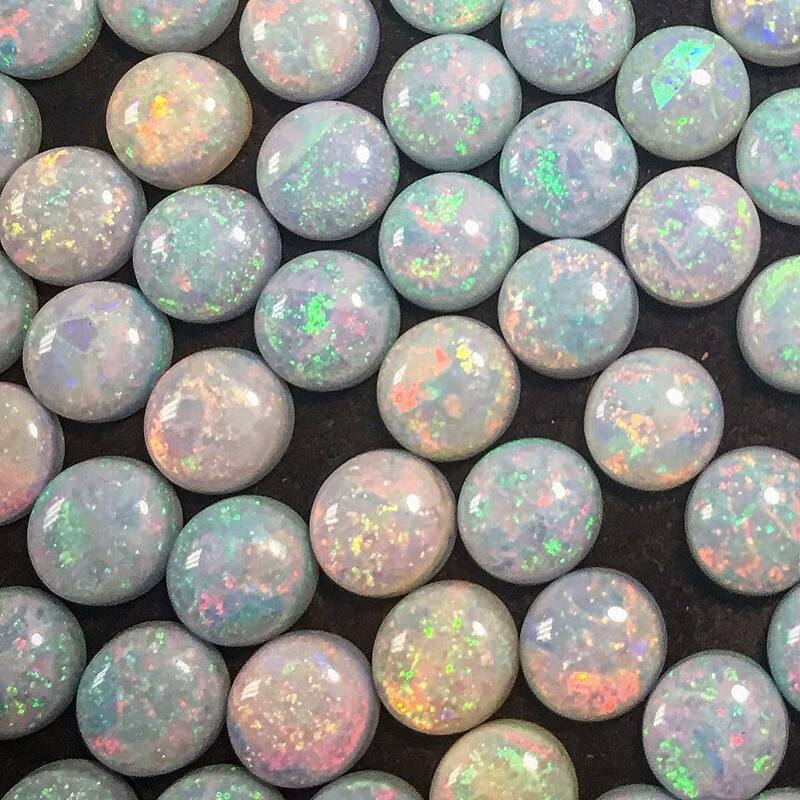 The monodispersity of our particles results in perfect mimicry of nature’s phenomenon to manufacture large quantities of synthetic opal. Shown above is a SEM image of silica neatly arranged in natural opal as shown by a group at Caltech.